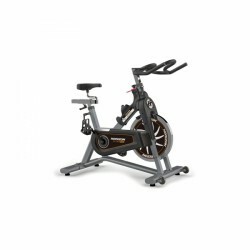 The Horizon indoor cycle Elite IC 4000 is especially designed for home training and convinces by its attractive design as well as precise workmanship. 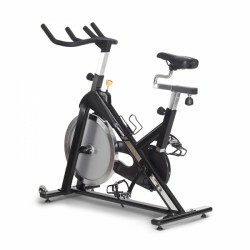 The heavy balance mass with a weight of 20 kg provides a comfortable and smooth pedalling. 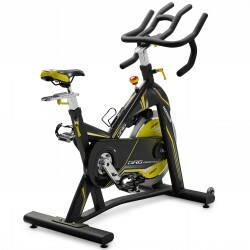 The multi-position handlebars and racing saddle are variably adjustable and offer an optimal posture while exercising. 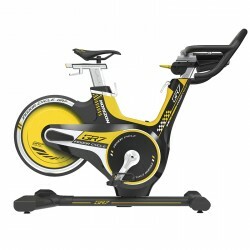 The Horizon indoor cycle S3 offers a very heavy flywheel of 22 kg. It makes the training motion smoother while cycling. 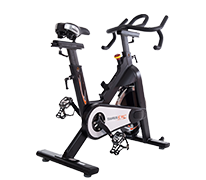 Race saddle and multi-position handlebar are multiple adjustable for finding the optimal training position.